Formed in 1995, Orange Goblin are easily one of the most recognizable and influential names in stoner rock! Although it’s been quite some time since the last studio album, the London based doomsters haven’t been sitting around doing nothing. From 2014 onwards the band has been actively touring and growing in presence. With ‘The Wolf Bites Back’ Orange Goblin have released an album that is all killer and no filler and is perhaps their most aggressive album to date! The album released June 15, 2018 via Spinefarm/Candlelight. Orange Goblin’s ninth release will definitely go over well with fans of old school heavy metal. Songs like “Sons Of Salem” and “Renegade” both have a strong Motorhead feel to them with their chunky/ rock n roll riffage! These songs bite hard and are a perfect start to the album! Speaking of Motorhead, guitar maestro Phil Campbell lays down some tasty licks on the tracks “Ghosts Of The Primitives” and “Zeitgeist” which both have a similar feel reminiscent of the best bands from the NWOBHM era! “Suicide Division” is the most in your face song on ‘The Wolf Bites Back’ with it’s crusty riffage, D-Beat type drumming and punk vocals! This one would make for a great opener in a live setting. 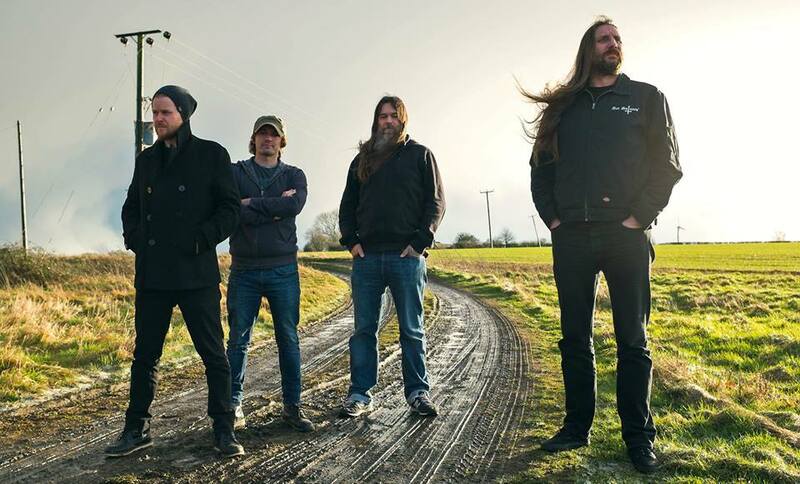 “Burn the Ships” harkens back to the Stoner style that Orange Goblin are famous for. It’s a mid tempo song that’s equal parts heavy as well as catchy! Drummer Chris Turner and bassist Martyn Millard both hold a steady but infectious groove throughout which allows guitarist Joe Hoare to really shine! “The Stranger” is perhaps the most ambitious song on the album. It starts off with a southern rock vibe to it, not unlike something you’d hear from Corrosion of Conformity before going full blown Black Sabbath with it’s random tempo change before one again descending to the southern vibe; this time accompanied by some soulful soloing as well as Hammond organ! “The Stranger” also happens to feature my favorite vocal performance from Ben Ward! ‘The Wolf Bites Back’ features many different elements throughout (funk, NWOBHM) but at it’s core it is a stoner rock album! In my humble opinion this is Orange Goblin at the top of their game and this is easily one of the best albums of their long and impressive career! Tagged Candlelight, Doom, Metal, NWOBHM, Orange Goblin, Rock, spinefarm, Stoner, The Wolf Bites Back. Bookmark the permalink.